The last swashbuckler to hit the big screen was Captain Jack Sparrow in the ‘Pirates of the Caribbean‘ films, but before him, there was another. Back in 1922 the tales of Zorro gripped the world with his master swordsmanship and championing the defenseless. Since then Hollywood has made some bank off of the masked man at least a dozen times and with varying success. I’m pleased to announce there is going to be a reboot of the Zorro films. Not so much a reboot of original stories, as a new movie based on a new book about Zorro. If that made sense, I might have a future in writing! 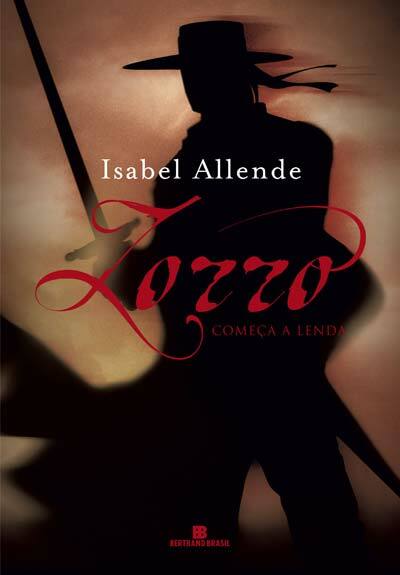 The 2005 novel ‘Zorro‘ by Isabel Allende is the source material that Chris Boal has just signed on to write from. Boal is a playwright that has recently sold two projects to Warner Bros. last year. ‘Caesar‘ about Julius Caesar and the other (‘Vanguard‘) centered on Vikings. In addition to his playwright history, he has also written two ‘Buffy the Vampire Slayer‘ comic books. 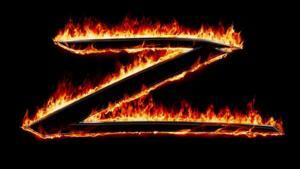 Sony pictures has been interested in resuscitating the Zorro franchise for quite a while, now. They’ve dedicated Walter Parkes and Laurie MacDonald to produce. They are also rebooting the ‘Men in Black‘ movies. I can’t even understand the reason for rebooting it right after the third film dropped. If you’re wanting Zorro to be more traditional, you’ll have to wait. Don’t worry, they will be rebooting it soon. This film will be more ‘Dark Knight‘-style, giving the titular character a new backstory. The swordplay will be combined with martial arts and a deadly combination of action and lethal fighting systems combining swords, daggers, grappling and bare knuckles. Boal was a competitive fencer on the national circuit before he turned his attention to writing. His expertise should transfer seamlessly from script to film, since Boal knows the technicalities of what he’s writing. No idea yet on who will be tapped to star. One thing I can only hope is there isn’t going to be anyone named Banderas attached. ‘Little House on the Prairie’ Movie Coming From Paramount!!! This entry was posted on Monday, March 10th, 2014 at 10:30 am	and is filed under Books, Film, News. You can follow any responses to this entry through the RSS 2.0 feed. You can skip to the end and leave a response. Pinging is currently not allowed. « Elijah Wood and Melanie Lynskey Go ‘Over The Garden Wall’!!! Fairytales come true . You got to make them happen just work real hard.